Journey To better Phase 2-Day 11- Understanding True Happiness Doesn’t Come From “Things” That Make You Happy, But “Being” The Thing that Creates Your Happiness & The Lesson Legendary Robin Williams’s Sudden Death Should Teach Us. you are not confident that being YOU is enough. When truth is if you look within and get to know who you really are you will find you really are MORE than enough. People who do the least in life, and are the most negative in life always seem to have the most to say about how others live, how they should live or what they should or shouldn’t spend their money on, when in all honesty they haven’t done much of anything in their own life for their opinion to even be considered. But when you don’t know yourself or the real seed of happiness you will allow this to fester and take over your mind. We often wonder how one can end their own life. Religious people say it’s the ultimate sin, judgmental people who lack an understanding say its selfish. But Let me be real for a moment, and this may be too much for some to handle, however I MUST say this. You don’t know what goes on in a person’s head, & it’s not always that you don’t believe in God or lack having a spiritual relationship, sometimes the weight of the world seems too heavy and waiting on a miracle seems like eternity when your mind does not let up and give relief. So many people go through so many things, that they have not healed from , unbearable illnesses, mental illness, and so much more leading to depression, anxiety etc amongst other things, which is why people self medicate, both legally and illegally. Many frown upon people who spoke marijuana, yet smoking cigarettes, drinking alcohol, food( over eating or not eating at all stem from mental&emotional issues as well) & prescription drugs are all legal and widely accepted even though they all are substitutes that are often used to mask or delude the issues that all stem from inward issues. The truth is we all have coping mechanisms to deal with things we are faced with in life, we all may deal differently however we still have those vices, many just have the unfortunate stage of the world to share it with, but this makes them no less human. Truth is, until we learn that true happiness can not be purchased, it has to come from within we will continue to mentally self destruct, not because we don’t want to live, but because we don’t know how to. Mental Illness is a real disease,it is one of the mind,and knowing that the mind controls everything in life you can imagine how powerful it can be when you feel so powerless, what we think creates the perception of any situation and that is what many try their hardest to cloud & unless you have a foundation of support who understands what you go through and how to help you get through it, then it is an extremely hard thing to overcome and the sad truth is many without that don’t, however with the help of people & influences in your life all things are possible to overcome. This week there has been so much going on, and honestly it is very disturbing to watch the state of our country, generation and overall human race. With ongoing racial tension, police vs civilian murders, amongst so many other things it is alot to take in. Then adding in the stress of needing to feel adequate, successful, having financial issues, addiction, divorce, and so many judgmental critics , It is so easy to reach a breaking point. 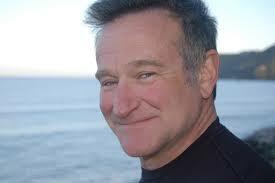 When I read about the recent passing of The Legendary Robin Williams, my heart sank. It was such a moment of disbelief, and I immediately asked myself why would he do that? Only to immediately come back into myself and out of the normal thinking of the world and I immediately began to cry. I am not a crier for one, it takes a lot, either Im really sad or really mad, no in between when it comes to crying for me. But this was as if I could feel his pain, how lonely he must have felt to want it all to end, and the way he did it, yes that was alot to take in. Can you imagine how deeply rooted your low point would have to be to actually want it to completely end? We saw him constantly laughing, joking never a frown in the public eye, we adored him for that, we laughed at the pain that he expressed through comedy, it all made me wonder with 63 years on this planet , 3 children & a wife at home, how long did he secretly cry out? What was the” thing “that triggered this feeling and made him say ENOUGH. Suddenly I felt for him, because I remember being that girl, who the world including my family thought was so strong with everything i was facing in life & didn’t really know how I wanted it all to end, Then i thought of his children cause i understand how difficult it is to lose a father so suddenly no matter how they die it’s never an easy thing to lose someone you love so much, and then his wife, I felt for her because I remember getting a call that my husband would not make it & it was time to say our goodbyes, I Constantly thank GOD that he did but the pain of the possibility was more than enough. I immediately understood. You see Even though I am not in his tax bracket, and we are a totally opposite race, our gender’s are different and we are on opposite sides of the world, we had so much in common. The only difference is he is not here to come to the same conclusion. His life meant the world to millions of fans, supporters, business partners and friends. Meant even more to his wife & children. But in his eyes, & his mind his life did not mean enough. We adored his movies, laughter and constant ability to make us laugh, but he didn’t feel that, he needed to feel that he mattered more than what he could provide, or more than what he had achieved, behind those dark eyes, lied an emptiness that no one not even those closest knew how to fill. Many will think I am gratifying what action was taken, and that’s their perception. My purpose is to show you and say that I understand, the why, and not just because it sounds good, because I have been there, I have experienced the darkness of inward battles, and perhaps if we all were not so self-absorbed with surface level indulges, we would be able to understand. You never know what a person is dealing with not only in their homes , but in their heads and sometimes all it takes is that one feeling, that one negative word or comment, that one missed opportunity, that one call from the bill collectors, childs school, hospital or police station. Sometimes it doesn’t take much to be too much, and if we would just understand, that even when we are not the same color, race or creed, our financial status ,corporate titles, & stocks and bonds are levels apart, that internally we are not much different at all. We should stop finding things that separate us and begin looking for those things that make us one in the same and build on that, we can’t change the past, but we can work on changing our future, hopefully by changing ourselves we just may save a life. Journey to Better is Not only to help yourself be a better person, but to also show that others can be as well! Life is much to short to not see light in every situation, and bring light out of every person! On this Journey To better Phase 2, I hope each day you are learning something more about yourself and the endless capabilities you can achieve by just retraining your mental state. Im rooting for you all and we are in this together! ← Journey To Better Phase 2- Day 7- Put It All Into Perspective, & Evaluate Progress.